Both cuisines have been made world famous by the generations of emigrees that have set up shop in various communities around the world. However, individually they contain completely independent styles, flavors, and experiences. 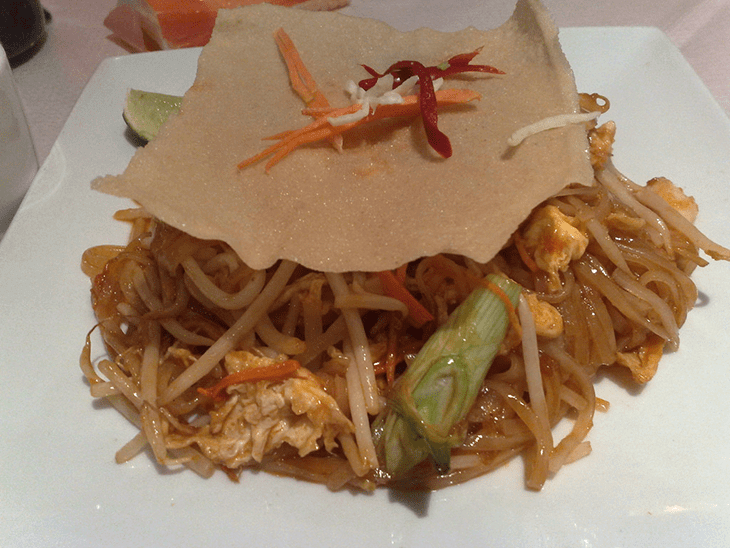 In Thailand, you’ll find worldwide staples like Pad Thai (Fried Noodles) or Papaya salad served in heaping portions. This is truly family style dining where you eat and chat until the food’s gone and you’re totally full. It’s delicious, it’s usually cheap, and it’s an absolutely wonderful social affair. Bangkok also has the world’s best street food scene, where you and your friends can try a variety of dishes all day (and night) long. Eating at a food stall is a great time, but can be intimidating at first. Check out these beginner survival tips before your initial trip. The Vietnamese restaurant scene is a little different. Diners enjoy a more DIY feel. Dishes are usually brought in segments. A plate of noodles here. Some fried rice there. A bit of fresh vegetables and some sauce dishes over there. It’s your responsibility to assemble the meal to your tastes. The focus is more on the individual, in terms of both the ingredients and the eater. Feel free to experiment until you get the formula just right. This can be a fantastic option for vegetarians or vegans as they don’t have to feel bad about being picky. It can be specifically useful for people sensitive to spicy, as Thai food can certainly bring the burn. Vietnam and Thailand have similar geography. Both are wedged in between northern mountains and southern beaches, and they offer an exciting chance to see multiple cultures in one trip. In the south you’ll find picturesque rocky outcrops with white sand beaches and crystalline blue waters. While the beaches in Thailand are more famous, Vietnam has it’s share of excellent waterfronts. 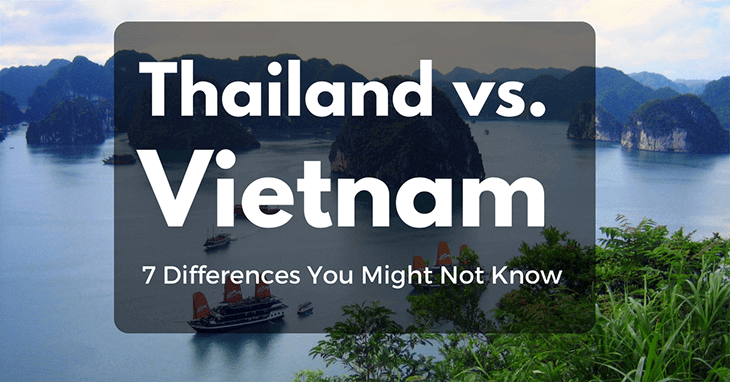 Thailand has retained much of it’s cultural heritage in the form of incredibly maintained Buddhist temples, but the history of Vietnam is much more complicated. Through years of colonialism, war, and cultural whitewashing, many of Vietnam’s historical landmarks were destroyed. There are still remnants in the forms of the Tomb of Tu Doc in Hue and Cao Dai Temple, but tragically, much has been lost. What Vietnam has done exceptionally well is try to preserve the fresh wounds of the recent past. 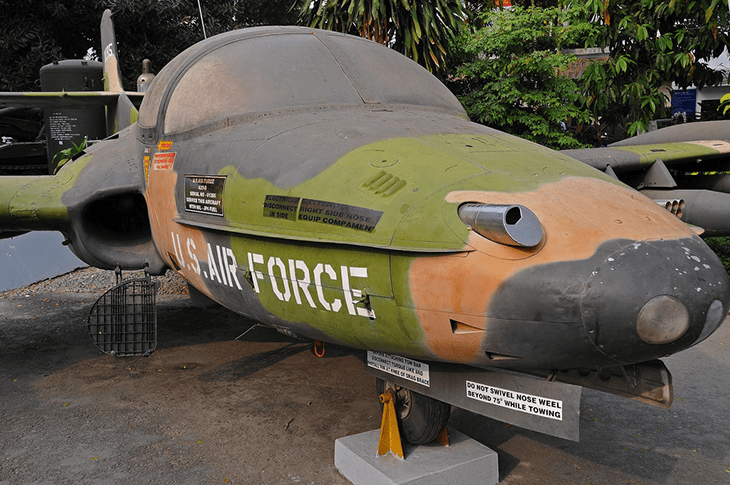 The Cu Chi Tunnels and War Remnants Museum will give you a chance to confront your preconceptions of the Vietnam war. If history decides your opinion of Thailand vs Vietnam, the former is all about the ancient, and the latter is about the more modern. 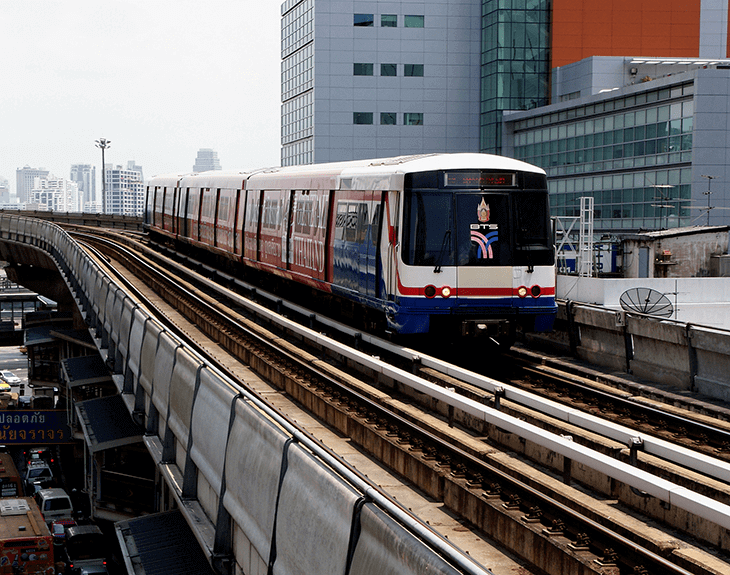 Thailand is a mixed bag when it comes to transportation. Bangkok is massive and congested. Getting from one place to another can be an ordeal, especially if you get stuck with an unscrupulous taxi, or tuk-tuk driver (always settle on a price in advance). However, Bangkok is a major tourist hub, meaning, you can access the rest of the country in just a few hours. Or rent a car or bike and go exploring on your own. There are a multitude of tours and excursions to every destination. Once you decide where to go, getting there by flight, bus, or car transfer is a breeze. 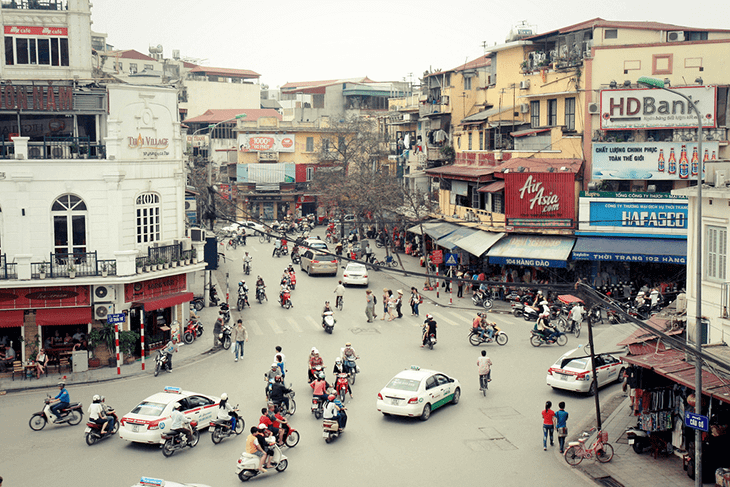 Vietnam’s biggest city, Hanoi, is a bit more manageable. The city center is clogged, but small and walkable. Taxis usually operate fairly using a meter. Getting to more remote destinations is a bit more problematic. It often requires driving yourself over poorly maintained roads. If you’re looking for convenience and tourist luxury Thailand wins again, but if you’re less about the beaten path, then Vietnam could be the right choice. Vietnam is among most culturally diverse countries in the world. You’ll find people from over 50 varied ethnic groups, including, Chinese, Cambodian, Laotian, and yes, Thai. Thailand has a more concrete identity, but there is one thing that both nations share; a generally polite disposition and willingness to help. In Thailand, you find more tourists, and that means more people catering to tourists. There are certainly no shortage of those looking to “take advantage” of the ignorance of outsiders. In general, people in both countries are used to foreign travellers and looking to build a solid reputation for customer service, although the Thai have more experience with catering to travellers. 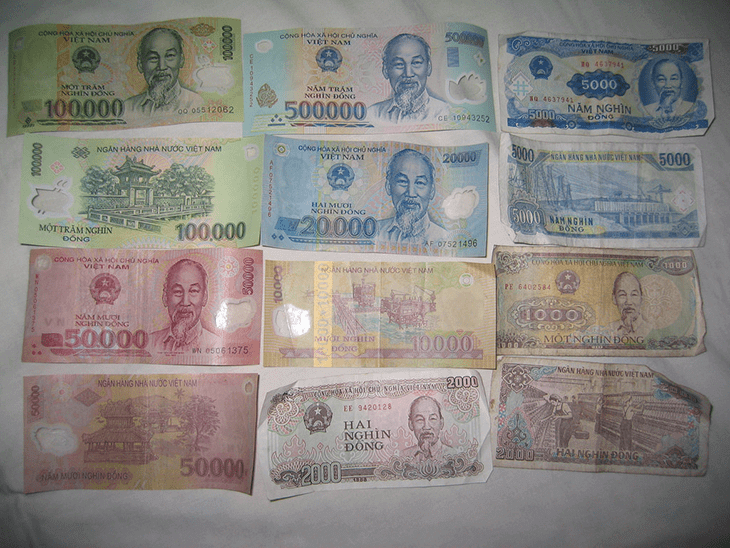 Local Thai currency (Baht) is very affordable for most tourists, from budget backpackers to luxury high rollers. Currently, 34 Baht is equivalent to 1 US dollar. A multicourse meal, with drinks, will usually run less than $15 per person. Daily budgets can range from close to $100 per day for a lavish stay in beautiful accommodations, to around $30 per day (including decent lodging) for thrifty drifters. It may sound unbelievable, but Vietnam is even cheaper. $1 US dollar currently trades for over 22,000 Vietnamese Dong! You can be a millionaire, and live above your means. 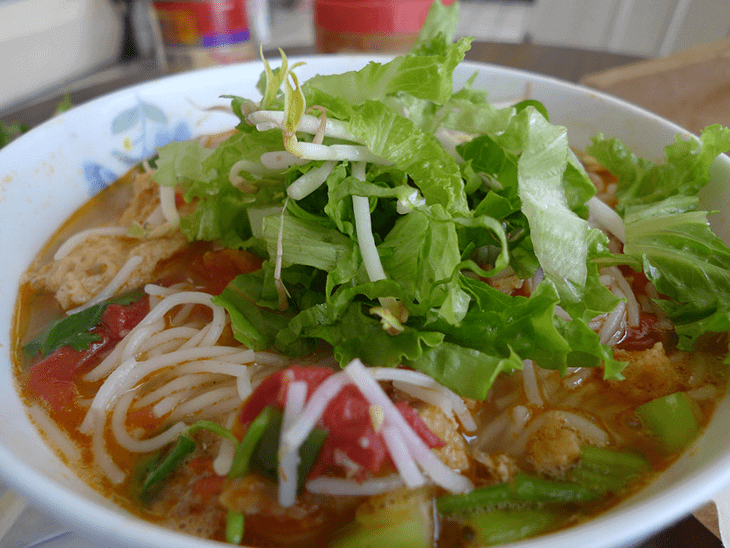 Meals in the best restaurants will rarely cost more than $20pp, and fragrant ocal noodle bowl clocks in around $2. This round in Thailand vs Vietnam could be considered a draw, but Vietnam barely takes the edge for the truly frugal. Both countries offer amazing interior scenery and stunning beachfronts. Thailand is known for it’s wide variety of natural parks and marine reserves. These places offer the chance to see idyllic habitats in there untouched forms, at least in theory. Tourism is heavy industry here. It will be far from the quiet peaceful experience imagined by the photographs, unless you head somewhere extremely remote. That being said, the tourists provide an unmatched infrastructure for movement, a focus on service, and a populace of foreign people looking to have fun. This creates special opportunities to see a lot, and meet many new faces along the way. Vietnam has many of the same features, thick jungles, overgrown mountains, and lush beaches. However, you’ll find less people. This can be a blessing and a curse. You’ll be able to capture pristine photos with no tourists, and in many cases, feel truly alone. This comes with its drawbacks. Being largely left alone can be fun, if you have an open plan, or low expectations for service. If you’re the type with a tight schedule, the lack of infrastructure can be a bit frustrating. That being said, Vietnam’s rugged wilderness gives you chances for authentic discovery. Obviously, the Vietnamese and Thai peoples speak different languages. For a foreigner, these tonal tongues are extremely hard to pick up. Learning a few phrases can be a lifesaver. Generally, English proficiency is quite high, especially in cities like Bangkok and Hanoi. 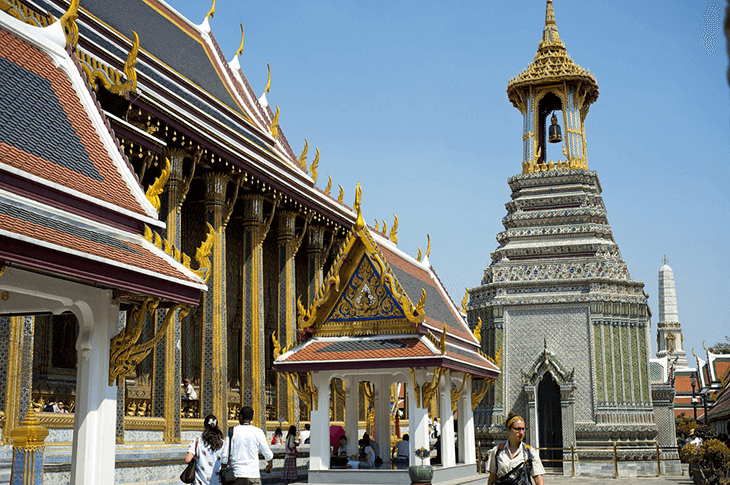 Bangkok is used to seeing tourists from all over, meaning English is widely spoken in the industry as a common tongue. In Hanoi, English proficiency is widespread. English is taught in primary school, so younger Vietnamese people will have decent experience. Older generations, especially in the South, will speak English as a remnant of the long period of American influence. Neither Thailand or Vietnam can be summed up in an article this short. Predominantly, Thailand is a more frequented destination and has the service standards that come with constant tourism. Vietnam’s industry is burgeoning and offers the chance to see similar attractions, at a lower cost, with more of an adventurous spirit. So it’s up you. Thailand vs Vietnam is a close contest between more comfort and a bit of uncertainty. Feel free to comment about any other differences you may know, and if you still can’t decide, you can always do both.